Council members are working on an agenda that includes labor organizing, public transportation and giving legal immigrants the right to vote in municipal elections. New York City’s newest elected official, Donovan Richards, did two things immediately upon joining the City Council this March: demand faster action by the City to remediate the mold festering in the homes of his low-income constituents in the Rockaways; and sign onto the bill requiring that workers in New York City get paid sick days, adding momentum that helped move the bill closer to passage. Richards’s commitment to a more just New York City started from his own experience. At age 19, one of his childhood friends was killed in a gun homicide. Vowing to do something about it, he got active in local politics. Ten years later, when Hurricane Sandy hit, he spent days in the shelter with his neighbors whose homes had been ravaged. He saw that many—especially those with low-wage jobs and no sick leave—had to go back to work immediately, despite being ill from exposure and exhausted from trauma. Richards didn’t get to the City Council alone. He won a close special election this February with the support of a coalition of progressive allies—labor unions like 1199SEIU, community groups like New York Communities for Change, the Working Families Party, and the new Progressive Caucus Alliance, the political arm of the City Council’s Progressive Caucus (which I co-chair). The Progressive Caucus was formed in 2010 to create a more just and equal New York City. We’re inspired by our city’s history of visionary public investments like the subway and free public higher education, and leadership on issues like workers’ rights and affordable housing. But we are deeply troubled by record-high homelessness, gaping inequality, and persistent segregation in our schools and neighborhoods. Contrary to the bromides offered by Mayor Michael Bloomberg, we know that New York City can be economically vibrant, safe, and livable—goals the mayor has rightly emphasized—while doing far better to share the benefits of the city’s prosperity across lines of race, class, and neighborhood. The “modern” New York City Council was created in 1989, after the United States Supreme Court declared the city’s old Board of Estimate unconstitutional. (The Board of Estimate was a powerful, eight-member governing body that embraced a decidedly smoke-filled-room style of politics.) The Council was given more power over budget and land-use matters, and expanded from 35 to 51 members, in the hopes that it would become more diverse and representative. Since then, however the Council has rarely led the way toward progressive goals. Despite representing a huge Democratic majority of New Yorkers (47 of the 51 members are Democrats), the Council has played second-fiddle to powerful Republican mayors, and frequently yielded to real-estate and big business interests. The goal of the Progressive Caucus is to change that. We aim to build power on behalf of the 75 percent of New Yorkers who—according to a recent poll by the Community Service Society—favor policies that help low-wage workers advance (like paid sick days and living wage requirements for public subsidies) and are willing to pay a bit more in taxes for better public education and investments in public infrastructure. We’ve made some progress this year, as our members were in the forefront of two big campaigns. The city’s paid sick days bill, which is expected to pass the City Council soon, means that nearly one million workers in New York City won’t have to choose between their health and their jobs. As Working Families Party New York State Director Bill Lipton said, it is a “step forward in building a society built on solidarity.” Caucus members are also pushing to establish an Inspector General for the New York City Police Department and to address ongoing civil liberties violations, like the discriminatory policies of stop-and-frisk, and the surveillance of Muslim mosques and student associations. Together with labor unions, community organizations, civil rights groups, clergy members, and progressive activists, the Progressive Caucus has been campaigning actively for both these changes. City Council Speaker Christine Quinn agreed to support both in March. Investing in the city’s infrastructure for the sake of climate protection and resilience, and as a platform for sustainable growth, in a way that creates good jobs and expands neighborhood amenities in all communities. Supporting the organizing efforts of low-wage workers in fast-food restaurants, car washes, bodegas, and other service businesses as a means of confronting growing inequality. Dramatically expanding the city’s bus rapid transit network, a cost-effective way to create a new element of our mass transit system and give hundreds of thousands of New Yorkers better access to jobs and resources. Revitalizing the moribund Commission on Human Rights as a way to set and monitor real goals for diversity in the City’s schools, housing, municipal jobs and agency leadership. Enfranchising legal immigrants with the right to vote in municipal elections. As it was a century ago, New York is an immigrant city; immigrants contribute more when they help govern. We’re working with a group of policy experts and academics brought together by Professor John Mollenkopf, of the City University of New York, to flesh out some of these ideas and present a progressive governing vision for the next mayoral administration. These ideas include proposals to offer community-based preventive care for municipal employees (to improve health outcomes and share the savings between the City and its unionized workforce), and to speed the slow-grinding wheels of justice in our courts, which leave low-income New Yorkers languishing in jail awaiting trial for months longer than they should (and waste almost $150 million per year). The Progressive Caucus is also pressing efforts to reform the city’s government, including the Council itself. We aim to take the politics and corruption out of “member items” and to reform Council rules so it doesn’t take more than three years for a bill like paid sick days to get to the floor. And our members have piloted the biggest democratic experiment in the U.S. with “participatory budgeting,” which offers residents of our neighborhoods more direct opportunities to decide how to invest public resources and engages people more forcefully as stewards of our shared public realm. For any of the changes we seek, we’ll need a Progressive Caucus that is bigger than its current 11 members. While all eyes have been focused on the race for mayor, nearly half of the seats in the City Council will turn over as well this November. So we have launched an aggressive electoral effort to expand our ranks. Working closely with the Working Families Party, progressive labor unions, Democratic donors, community groups involved in the electoral process, grassroots and netroots activists, we are aiming for big successes at the ballot box. We were encouraged by our first big electoral win, when Donovan Richards won his special election in February. We have endorsed six more candidates for office, and will likely endorse several more for the city elections this fall. Our candidates include the founder of a community-development credit union in Upper Manhattan, a progressive minister from Bedford-Stuyvesant, and a lifelong public housing resident who would also be the first openly gay elected official from the Bronx. Working together with volunteers, donors and allies, we will help our candidates raise funds, recruit volunteers, and petition to get on the ballot. With more smart, effective, progressive candidates in the Council, we can make sure that the next Speaker and Council leadership reflect the aspirations of most New Yorkers for a city that lives up to our values—and then advance public policies that help make New York a more equal, inclusive, democratic city in the coming years. 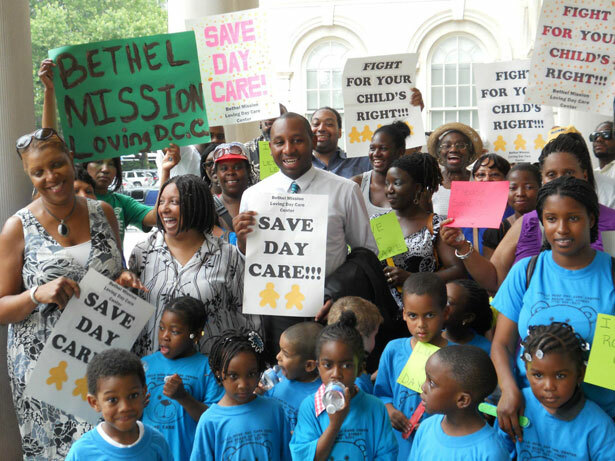 Donovan Richards and the New York City Council’s Progressive Caucus are working to find out. Brad Lander is a New York City Council Member from Brooklyn, founding co-chair of the Council’s Progressive Caucus, and chairs of its political arm, the Progressive Caucus Alliance. Read all of the articles in The Nation’s special issue on New York City. Brad LanderTwitterBrad Lander is a New York City Council Member from Brooklyn and the chairman of the board of Local Progress, a national association of progressive municipal elected officials.